In February 2010 we received the grades and results of the first year's studies for the girls. 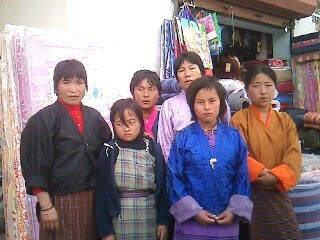 Dorji provided us extensive detail on their grades and reports from their teachers. We are very pleased to learn that all of the girls were promoted to the next level and each recieved very posititve comments from their teachers. 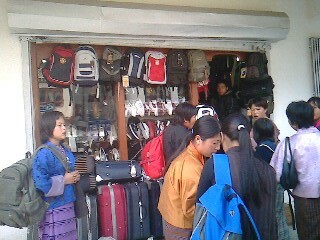 One of the girls was promoted to the next level though she did not qualify for Government School Education. We are pleased that she is able to gain admission to a Private Higher Secondary School and the extra costs can be covered by earlier donations. 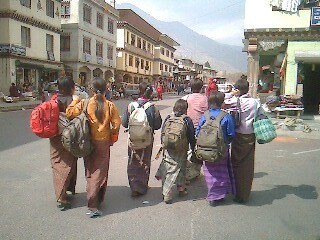 In January 2010 the girls were again given the opportunity to shop for necessary school supplies. The following are some photos of that excursion.